Egi SM, Pierre-Yves Cousteau, Massimo Pieri, Carlo Cerrano, Tamer Özyigit and Alessandro Marroni, " Designing a Diving Protocol for Thermocline Identification Using Dive Computers in Marine Citizen Science. ", Appl. Sci., 8, 2315, (2018). Egi S. M, Marroni A. , "Book review: Gas bubble dynamics in the human body. ", UHM 2018, 45(1), 109-110, (2018). Lucrezi, Serena; Egi, Salih Murat; Pieri, Massimo; et al. , " “Safety Priorities and Underestimations in Recreational Scuba Diving Operations: A European Study Supporting the Implementation of New Risk Management Programmes”", Front. Psychol, 9, 383, (2018). Altepe, Corentin; Egi, S. Murat; Ozyigit, Tamer, "“Design and Validation of a Breathing Detection System for Scuba Divers”", Sensors, 17(6), 1349, (2017). Mišković, Nikola; Bibuli, Marco; Birk, Andreas; Caccia, Massimo; Egi, Murat et al., " Grammer, Karl; Marroni, Alessandro; Neasham, Jeff; Pascoal, Antonio; Vasilijević, Antonio; Vukić, Zoran. CADDY - Cognitive Autonomous Diving Buddy: Two Years of Underwater Human-Robot Interaction. ", Marine technology society journal, 50(4), 54-66, (2016). Parlak, Ismail Burak; Egi, Salih Murat; Ademoglu, Ahmet;, ".” Bubble stream reveals functionality of the right-to-left shunt: Detection of a Potentıal source for Air Embolism”", Ultrasound in Medicine and Biology, 40(2), 330-340, (2014). Ozyigit, Tamer; Egi, S. Murat, " “Commercial diver selection using multiple-criteria decision-making methods”", Undersea and Hyperbaric Medicine, 41(6), 565-572, (2014). Egi, S. Murat; Pieri, Massimo; Marroni, Alessandro, "“Diving at altitude: From definition to practice” ", Undersea and Hyperbaric Medicine, 41(6), 495-503, (2014). Özyiğit T., S.M. Egi, P. Denoble, C. Balestra, S. Aydın, R.D. Vann, A. Marroni, " "Decompression Illness Medically Reported by Hyperbaric Treatment Facilities: Cluster Analysis of 1929 Cases"", Aviat Space Environ Med, 81, 1-5, (2010). Egi, SM, " “Design of an acoustic telemetry system for rebreathers.” ", Undersea Hyperbaric Med, 36(1), 65-71, (2009). Tufan, K., A. Ademoglu, E. Kurtaran, G. Yildiz, S. Aydin, S. M. Egi, "“Automatic Detection of Venous Gas Emboli in Subclavian Doppler Ultrasound Signal”", Aviat Space Environ Med, 77, 228-235, (2006). Egi, S.M., N.M. Gürmen, S. Aydın, "Field Trials of No-Decompression Stop Limits for Diving at 3,500 m", Aviat Space Environ Med, 74, 228-235, (2003). Gürmen, N.M., A.J. Llewellyn, R.A. Gilbert, S.M. Egi, "Simulation of Dynamic Bubble Spectra in Tissues", IEEE Trans Biomed Eng, 48(2), 185-193, (2001). Egi, S.M. ve N.M. Gürmen, "Computation of Decompression Tables using Continuos Tissue Time Constants ", Undersea Hyperbaric Med, 27(3), 143-153, (2000). Egi, S.M. ve A.O. Brubakk, "Diving at Altitude: A review of Decompression Strategies", Undersea Hyperbaric Med, 22(3), 289-300, (1995). Egi, S.M., E. İnelmen,, "“The Role of Extra-Curriculum Activities in the Life Long Education of Engineers”", Global J of Engng. Educ , 199-202, (1999). Egi, S.M. 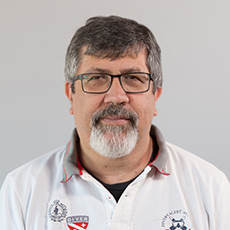 ve Ş. Aktaş, " “Diving at Altitude: Results of Four Expeditions”", 1st International Tunisian Meeting on Diving and Hyperbaric Medicin, 15, (1996). Egi, S.M., "“Computation of Dive Tables Using Continuos Tissue Time Constants”", Proc. XXIInd Annual Meeting of EUBS on Diving and Hyperbaric Medicine, 299-302, (1996). Egi, S.M., Ş. Aktaş, Y. Bahadırlar, F. Yeşilleten, O. Eftedal, " “Kaçkar'94: Field Tests of Altitude Dive Tables Based on an Alternative Method of Hypobaric Extrapolation of Decompression Sickness Boundary”", Undersea Hyperbaric Med, 67-68, (1995). Buruk, M.Y., E.Ç. Güler, S.M. Egi, O. Eftedal, B. Sankur, " “Analysis of Precordial Doppler Ultrasound Recordings Using Time-Frequency Methods to Detect Decompression Bubbles”", Undersea Hyperbaric Med, 30-31, (1995). Egi, S.M., Ş. Aktaş, F. Yeşilleten, O. Eftedal, "“The Effects of Short Term Altitude Acclimatization on the Bubble Formation”", Proc. XXIst Annual Meeting of EUBS on Diving and Hyperbaric Medicine, 68-73, (1995). Yeşilleten, F., S.M. Egi, Y. Ülgen, "“Multisite Multifrequency Measurement and Analysis of Bioimpedance Changes at High Altitude”", Proc. IXth International Conference on Electrical Bio-Impedance (ICEBI), 259-263, (1995). Egi, S.M., "“Development of a Software Library for Comparative Studies of DCS”", Proc. XXth Annual Meeting of EUBS on Diving and Hyperbaric Medicine, 484-489, (1994). Egi, S.M., "“Estimation of Oxygen Window during and after Altitude Exposures” ", Proc. XXth Annual Meeting of EUBS on Diving and Hyperbaric Medicine, 135-139, (1994). Aydın, S., Ş. Aktaş, S.M. Egi, M. Cimsit, " “Altitude Dive Performed at 3412 m"", Proc. XVIIIth Annual Meeting of European European Undersea Biomedical Society (EUBS) on Diving and Hyperbaric Medicine, 135-137, (1992).